Who says oatmeal digestives have to be boring? I love health food and advise others to pick healthy ingredients for their meals. After all, your health is in your hands. Make food your medicine and not medicine your food. 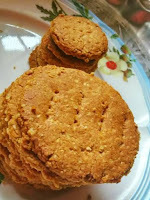 My previous homemade oatmeal digestives post was loved by one and all. This time I have decided to add nuts to digestives. Well, I have added almonds, which are the healthiest of nuts and a good source of minerals, nutrients, fiber, and vitamins. We have been enjoying almonds since childhood. My dad has always advised us to soak almonds overnight and have them in the morning. He says almonds are good for your brain. Rightly so!! Not only this, almonds help regulate blood pressure, lower LDL or bad cholesterol, raise good cholesterol or HDL, reduce heart disease risk, boost cardio health, prevent from colon cancer, play a role in diabetes management, are great for hair and skin, and boost immune health. So many benefits in these cute little nuts!! Seeing almond benefits, it won't be wrong to say that almonds are a kind of super food - a power-packed snack, which is a health boost. Now do not be surprised to see oatmeal in here. 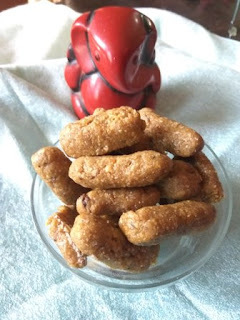 I am in love with this fiber-rich cereal grain and have experimented with it hundreds of times. Here are over 50 oatmeal recipes that you may want to try -from cookies to oatmeal cakes, from snacks to crunchy savories, from curries to stir fries, and of course not forgetting desserts. Do you know oatmeal makes a great substitute to cornflour or maida? 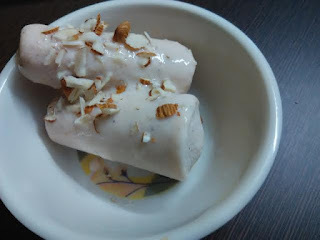 If you are not aware of this fact, do try out my oatmeal badaam kulfi. You will fall in love with healthy oatmeal recipes. That's a promise. 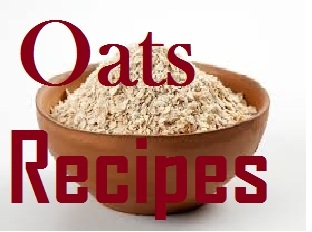 Oats are a rich source of fiber, antioxidants, complex carbs, magnesium. 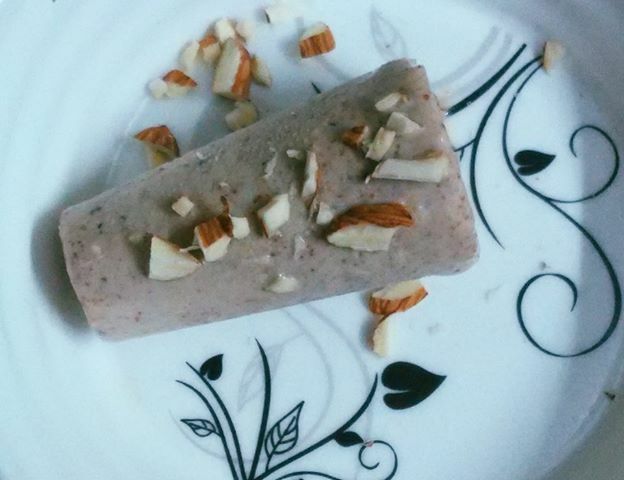 These are a low calorie food that slows digestion, improves metabolism, and helps in weight loss. Surprisngly, oats contain lignan that fight some of the cancers in human body, including hormone-related breast cancer, prostate, and ovarian cancer. Beta gluten in oats helps enhance body's immune response to certain bacteria. 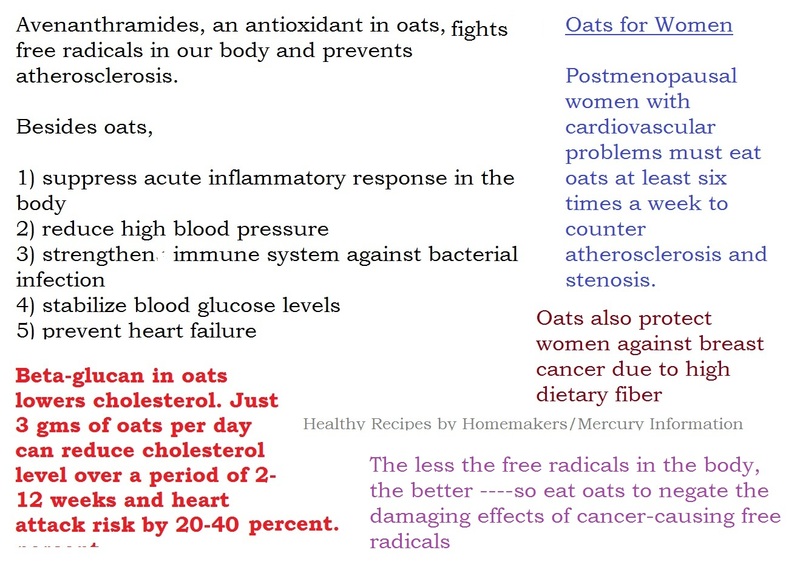 The antioxidants in oats are beneficial for various heart ailments. Being a rich source of dietary fiber, oats help lower bad cholesterol (LDL) without affecting HDL or good cholesterol. Additionally, oats contain plant lignans, such as enterolactone, which are known to protect against cardiovascular disease. 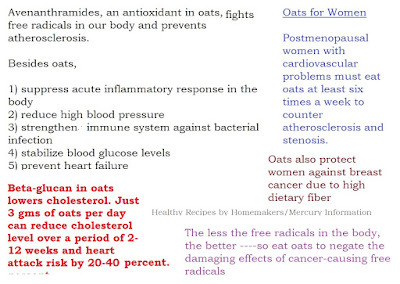 All in all, oats help reduce cholesterol levels and keep your heart healthy. Oats benefits are aplenty. Make a health-friendly decision today to include oats in your daily diet. Okay enough of talk on oatmeal now. 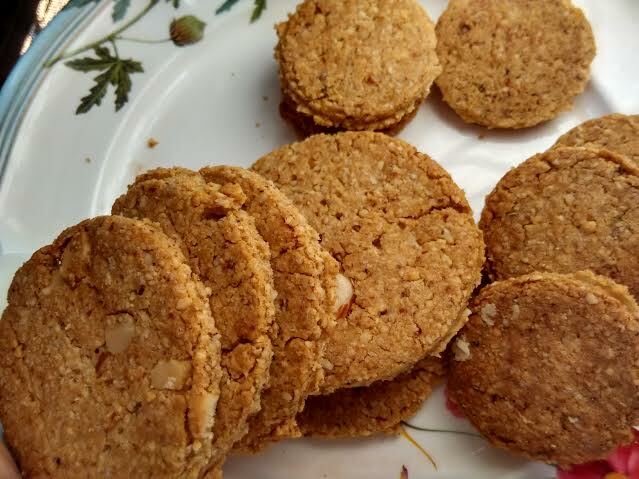 Let's come back to the power packed healthy oatmeal digestive cookies, loaded with nutty bites. Here's my oatmeal digestives packed with almonds. Yes, these are nutty, these are crunchy, these are healthy, and these are oh so delicious. This pack of homemade whole wheat cookies with oatmeal do make a perfect diwali gift. Sieve wheat flour, oats powder, and baking powder. Mix cornflakes powder and almonds powder. Add sugar powder and elaichi/dalchini. Cut cold butter into small pieces or grate it over the flour. Rub into the flour well. It will look coarse and appear like bread crumbs. Add 1 tbsp of oil and mix it into the flour. Now add milk -1 tbsp at a time - to combine everything together into a not too hard, nor too soft dough. Do not knead - just gather the ingredients into dough. Cover in an aluminum foil/butter paper/parchment paper and refrigerate for 30 minutes or longer. Preheat the oven (mw convection) at 180 degrees for 10 mts. Cut into pieces of desired shapes. Place on a cookie tray at an even distance from each other. This gives cookies space to spread and bake properly. Bake for 15-18 mts at 180 degrees. 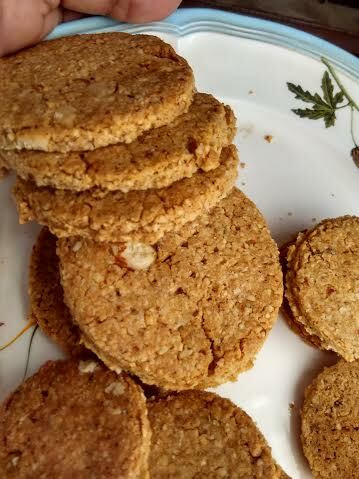 Enjoy these homemade oatmeal digestives with a hot cup of tea or milk. You may want to check my Mcvities healthy oatmeal digestives. Here is the recipe. 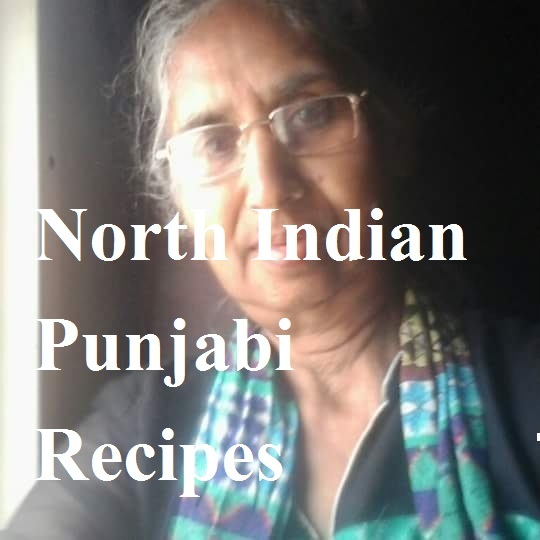 We have more than 46 oatmeal recipes. Check the ever-growing list here. 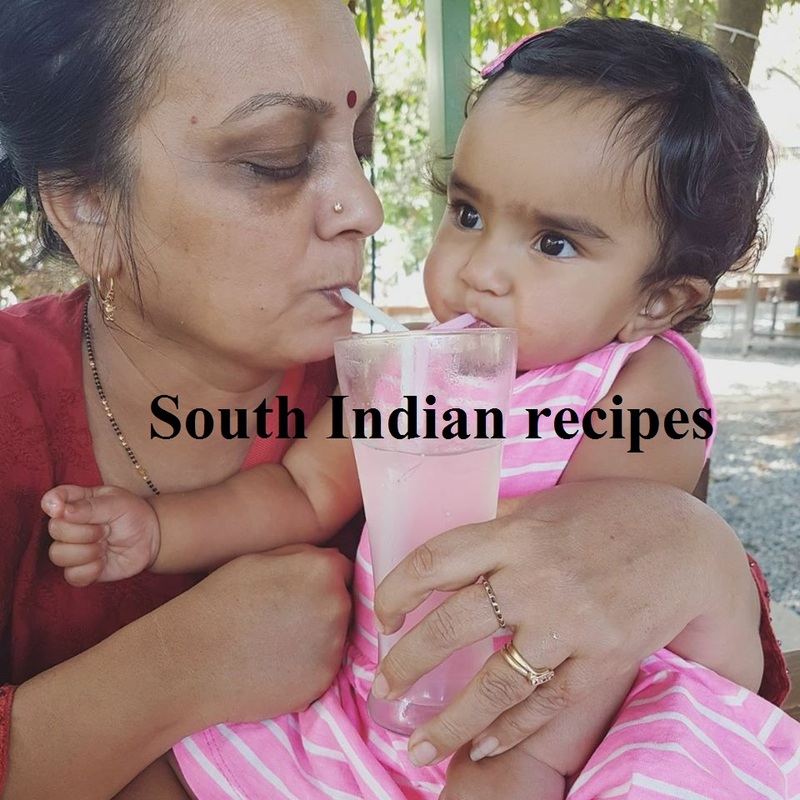 Do not forget to try kid friendly recipe of healthy toffee. Mind blowing. Now let me know replacement of cornflakes first 😂. Secondly can these be given to babies 1 yr old? You may replace cornflakes with Horlicks/ Bournvita or even besan or nothing at all. Cornflakes acts like a taste enhancer here- nothing else. Well, no doubt, these digestives are soft, but babies may still struggle to chew them. Could you please let me know size of your cup ? 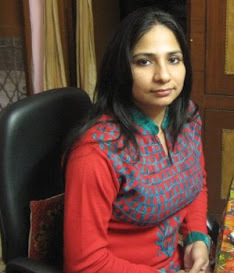 Hi Veena ji, I hope you have received my message in the group. 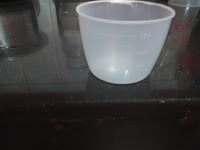 I am updating the post with the measuring cup pic. You may skip it and substitute the same with any other nut. Pistachio, walnuts :) Grind almonds to powder and you we need this only.